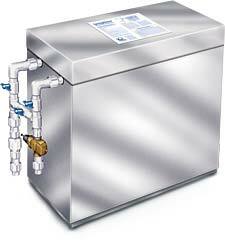 Note: We need your Springhouse Serial number to order certain parts for your unit. Please use the contact us form below to send us the serial Number, or put it on your PayPal payment. Not Sure if you have a Municipal or a Well Water Springhouse System? 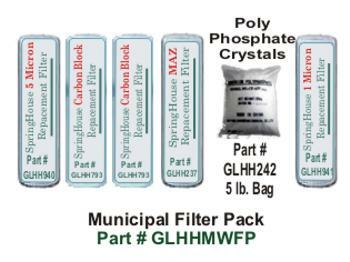 Please be aware that the poly-phosphate crystals are shipped separately from the filter packs. 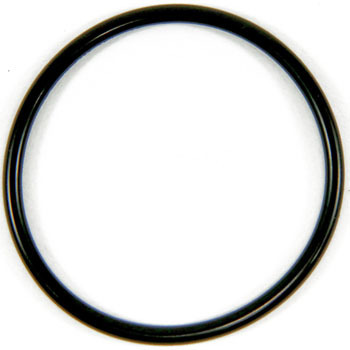 Big blue Filter Housing O-Rings** Please note these o-rings fit the canisters that we "CURRENTLY" sell. They will not fit old Springhouse canisters. The original Springhouse canisters and heads are no longer manufactured. All the canisters we sell include new heads. Our canisters, as they come out of the box, fit most Springhouse Units, but not all and the new head may not be required. If the canisters don't fit your old heads then the new canister heads must be retrofitted to the Springhouse unit. It is recommended that a plumber or skilled handyman do the retrofit, by removing the old heads and replacing them with the new ones and checking for any leaks. 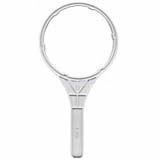 UV Lamp, and Glass Sleeve have a 30 day return policy, Approved returns have a 25% restocking fee.